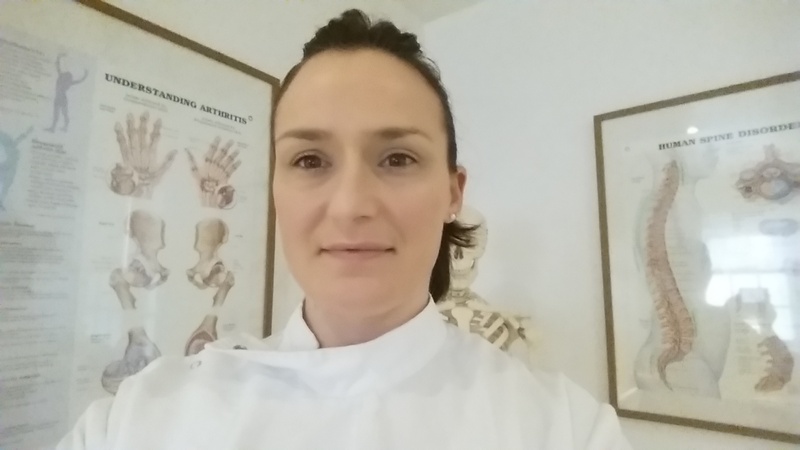 I qualified as an osteopath in 2007 from the University College of Osteopathy (formerly known as the British School of Osteopathy) after 5 years of part-time and full-time studying. As a mature student it was a daunting challenge, changing occupation midway through a rising career in publishing but one that I don’t regret for one minute! The challenges and rewards that Osteopathy has afforded me have been immense and I look forward to more of them in the future. I set up my own practice in Kelso, Scottish Borders, not long after graduating, returning to my homeland after a lifetime of living abroad and in Englandshire. Initially I worked in Edinburgh as an associate, but the long commutes made me set up a little earlier than I intentioned. That said, it has been a decision I have not regretted. I have had to quickly learn about many rural settings, such as farming, as well as learning local colloquialisms – now that has tested me on occasion, but I now speak the lingo very well! I currently see a variety of patients with an assortment of requests/ailments and enjoy seeking out the ‘why now’ question and working with the patient to improve their overall health. I enjoy working with the sports enthusiast, helping those stuck at their desk, and also the more elderly amongst us who need a helping hand just to get that pint of milk in the morning…. It’s all in the day and life of an Osteopath! As ever, my learning does not stop, and honing my skills is an integral part of being an Osteopath. Post-graduate studies have included Kinesiotaping, Western Acupuncture and visceral manipulation from the Barral Institute. I am, of course, registered with the General Osteopathic Council, and also a member of the Institute of Osteopathy and the Scottish Osteopathic Society.